Creams and milk chocolate There are 7 products. 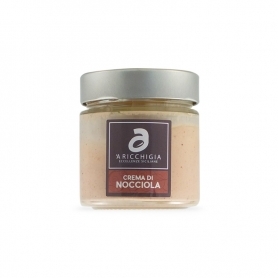 A velvety cream with 45% of Piedmontese hazelnuts "Tonda Gentile", appreciated worldwide for their distinctive delicate aroma. 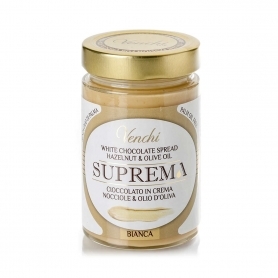 Spreadable cream with an unmistakable taste of walnut, to savor in the morning on a fragrant slice of warm bread or to embellish desserts to entice your guests. 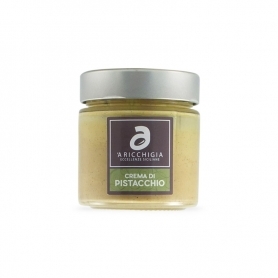 The natural creaminess of an excellent spread based on IGP hazelnuts and olive oil meets the incomparable gluttony of white chocolate. Absolutely to try with red fruits. High pastry cream. It enriches desserts and embellishes your breakfast. Sweet and tasty spreadable sweet cream. 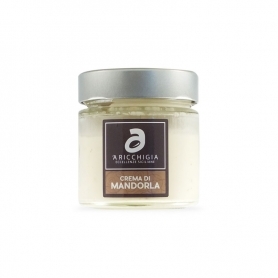 Sweet and aromatic spreadable cream. Perfect to accompany fruit desserts such as bananas and strawberries. 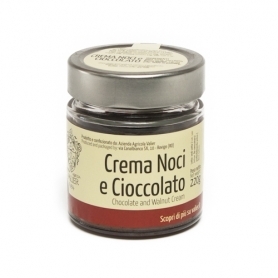 Sicilian creamy and delicious specialty. Perfect for fillings and to create tasty desserts, irresistible with the spoon.